Now 10 years ago, several of the world’s leading climatologists and physicists chose to reinvestigate the long-term environmental impacts of nuclear war. The peer-reviewed studies they produced are considered to be the most authoritative type of scientific research, which is subjected to criticism by the international scientific community before final publication in scholarly journals. No serious errors were found in these studies and their findings remain unchallenged. Alan Robock et al., “Nuclear winter revisited with a modern climate model and current nuclear arsenals: Still catastrophic consequences,” Journal of Geophysical Research: Atmospheres 112 (2007). Owen Brian Toon et al., “Atmospheric effects and societal consequences of regional scale nuclear conflicts and acts of individual nuclear terrorism,” Atmospheric Chemistry and Physics 7 (2007). Michael Mills et al., “Massive global ozone loss predicted following regional nuclear conflict,” Proceedings of the National Academy of Sciences of the United States of America 105, no. 14 (2008). Michael Mills et al., “Multidecadal global cooling and unprecedented ozone loss following a regional nuclear conflict,” Earth’s Future 2. Alan Robock et al., “Climatic consequences of regional nuclear conflicts,” Atmospheric Chemistry and Physics 7 (2007). Working at the Laboratory for Atmospheric and Space Physics at the University of Colorado-Boulder, the Department of Environmental Sciences at Rutgers, and the Department of Atmospheric and Oceanic Sciences at UCLA, these scientists used state-of-the-art computer modeling to evaluate the consequences of a range of possible nuclear conflicts. They began with a hypothetical war in Southeast Asia, in which a total of 100 Hiroshima-size atomic bombs were detonated in the cities of India and Pakistan. 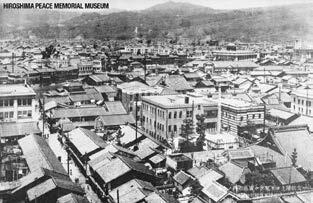 Please consider the following images of Hiroshima, before and after the detonation of the atomic bomb, which had an explosive power of 15,000 tons of TNT. The detonation of an atomic bomb with this explosive power will instantly ignite fires over a surface area of three to five square miles. In the recent studies, the scientists calculated that the blast, fire, and radiation from a war fought with 100 atomic bombs could produce direct fatalities comparable to all of those worldwide in World War II, or to those once estimated for a “counterforce” nuclear war between the superpowers. However, the long-term environmental effects of the war could significantly disrupt the global weather for at least a decade, which would likely result in a vast global famine. The scientists predicted that nuclear firestorms in the burning cities would cause at least five million tons of black carbon smoke to quickly rise above cloud level into the stratosphere, where it could not be rained out. The smoke would circle the Earth in less than two weeks and would form a global stratospheric smoke layer that would remain for more than a decade. The smoke would absorb warming sunlight, which would heat the smoke to temperatures near the boiling point of water, producing ozone losses of 20 to 50 percent over populated areas. This would almost double the amount of UV-B reaching the most populated regions of the mid-latitudes, and it would create UV-B indices unprecedented in human history. In North America and Central Europe, the time required to get a painful sunburn at mid-day in June could decrease to as little as six minutes for fair-skinned individuals. As the smoke layer blocked warming sunlight from reaching the Earth’s surface, it would produce the coldest average surface temperatures in the last 1,000 years. The scientists calculated that global food production would decrease by 20 to 40 percent during a five-year period following such a war. Medical experts have predicted that the shortening of growing seasons and corresponding decreases in agricultural production could cause up to two billion people to perish from famine. The climatologists also investigated the effects of a nuclear war fought with the vastly more powerful modern thermonuclear weapons possessed by the United States, Russia, China, France, and England. Some of the thermonuclear weapons constructed during the 1950s and 1960s were 1,000 times more powerful than an atomic bomb. During the last 30 years, the average size of thermonuclear or “strategic” nuclear weapons has decreased. Yet today, each of the approximately 3,540 strategic weapons deployed by the United States and Russia is seven to 80 times more powerful than the atomic bombs modeled in the India-Pakistan study. The smallest strategic nuclear weapon has an explosive power of 100,000 tons of TNT, compared to an atomic bomb with an average explosive power of 15,000 tons of TNT. 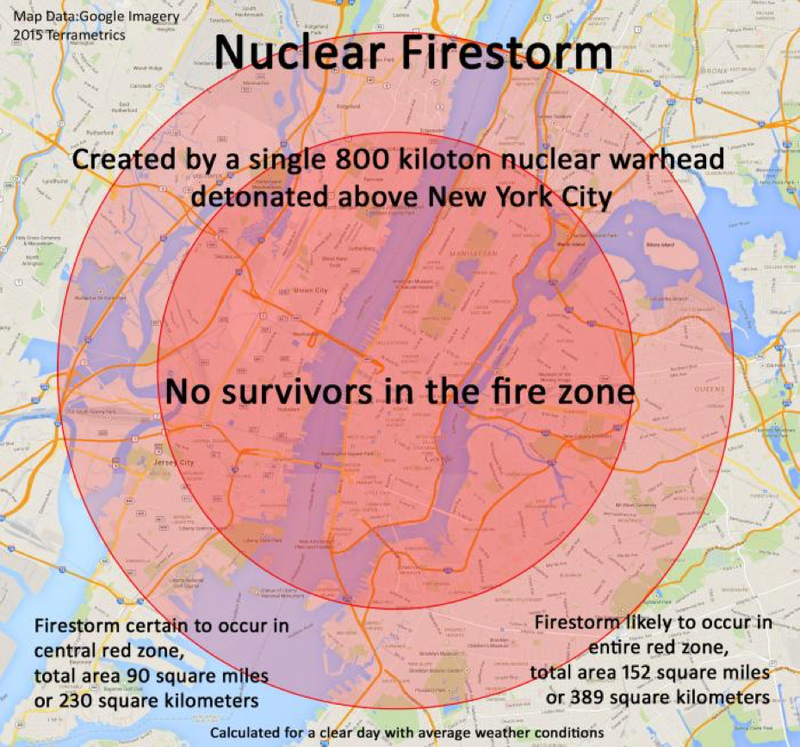 Strategic nuclear weapons produce much larger nuclear firestorms than do atomic bombs. For example, a standard Russian 800-kiloton warhead, on an average day, will ignite fires covering a surface area of 90 to 152 square miles. A war fought with hundreds or thousands of U.S. and Russian strategic nuclear weapons would ignite immense nuclear firestorms covering land surface areas of many thousands or tens of thousands of square miles. The scientists calculated that these fires would produce up to 180 million tons of black carbon soot and smoke, which would form a dense, global stratospheric smoke layer. The smoke would remain in the stratosphere for 10 to 20 years, and it would block as much as 70 percent of sunlight from reaching the surface of the Northern Hemisphere and 35 percent from the Southern Hemisphere. So much sunlight would be blocked by the smoke that the noonday sun would resemble a full moon at midnight. 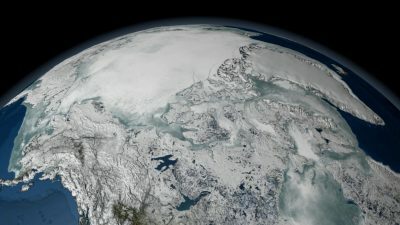 Under such conditions, it would only require a matter of days or weeks for daily minimum temperatures to fall below freezing in the largest agricultural areas of the Northern Hemisphere, where freezing temperatures would occur every day for a period of between one to more than two years. Average surface temperatures would become colder than those experienced 18,000 years ago at the height of the last Ice Age, and the prolonged cold would cause average rainfall to decrease by up to 90%. Growing seasons would be completely eliminated for more than a decade; it would be too cold and dark to grow food crops, which would doom the majority of the human population. The profound cold and darkness following nuclear war became known as nuclear winter and was first predicted in 1983 by a group of NASA scientists led by Carl Sagan. During the mid-1980s, a large body of research was done by such groups as the Scientific Committee on Problems of the Environment (SCOPE), the World Meteorological Organization, and the U.S. National Research Council of the U.S. National Academy of Sciences; their work essentially supported the initial findings of the 1983 studies. Critics used various uncertainties in the studies and the first climate models (which are primitive by today’s standards) as a basis to criticize and reject the concept of nuclear winter. In 1986, the Council on Foreign Relations published an article by scientists from the National Center for Atmospheric Research, who predicted drops in global cooling about half as large as those first predicted by the 1983 studies and described this as a “nuclear autumn.” The nuclear autumn studies were later shown to be deeply flawed, but the proof came too late to stop a massive smear campaign that effectively discredited the initial studies. Nuclear winter was subject to criticism and damning articles in the Wall Street Journal and Time magazine. In 1987, the National Review called nuclear winter a “fraud.” In 2000, Discover Magazine published an article that described nuclear winter as one of “The Twenty Greatest Scientific Blunders in History.” The endless smear campaign was successful; the general public, and even most anti-nuclear activists, were left with the idea that nuclear winter had been scientifically disproved. Yet the scientists did not give up. In 2006, they returned to their labs to perform the research I have previously described. Their new research not only upheld the previous findings but also found that the earlier studies actually underestimated the environmental effects of nuclear war. The Department of Homeland Security really should fund this. They will fund you to study one terrorist bomb in New York City. When you explain to them that a war between India and Pakistan is a much greater threat to the U.S. homeland than one terrorist bomb, as horrible as that is, they respond with “Oh, well that’s not my job, go talk to some other program manager” — who, of course, doesn’t exist. After the more recent series of studies were published in 2007 and 2008, Drs. Robock and Toon also made a number of requests to meet with members of the Obama administration. The scientists offered to brief Cabinet members and the White House staff about their findings, which they assumed would have a great impact upon nuclear weapons policy. Their offers were met with indifference. It is important to understand that some members of this group — especially the Commander of the U.S. Strategic Command (USSTRATCOM) — also develop the policies that guide the use of nuclear weapons. Perhaps General John Hyten, Head of USSTRATCOM, who is in charge of the U.S. nuclear triad, and General Paul Selva, Vice Chairman of the Joint Chiefs of Staff, the second highest ranking officer in the United States, have never seen or heard of the 21st century nuclear winter studies. Perhaps when they hear a question about “nuclear winter,” they only remember the smear campaigns done against the early studies. Or, maybe, they just choose not to accept the new scientific research on nuclear winter, despite the fact that it has withstood the criticism of the global scientific community. Do U.S. military and political leaders fully understand the consequences of nuclear war? Do they realize that even a “successful” nuclear first-strike against Russia could cause most Americans to die from nuclear famine? We estimate that the direct effects of using the 2012 arsenals would lead to hundreds of millions of fatalities. The indirect effects would likely eliminate the majority of the human population. A nuclear war between Russia and the United States, even after the arsenal reductions planned under New START, could produce a nuclear winter. Hence, an attack by either side could be suicidal, resulting in Self-Assured Destruction. Although president-elect Trump appears to favor a return to the policy of détente with Russia, many if not most U.S. political leaders appear to support the Obama administration’s policies of direct confrontation with Putin’s Russia. Mainstream corporate media, including the editorial boards of The New York Times and The Washington Post, routinely engage in anti-Russian and anti-Putin rhetoric that surpasses the hate speech of the McCarthy era. Under President Obama, the United States has renewed the Cold War with Russia, with little or no debate or protest, and has subsequently engaged in proxy wars with Russia in Ukraine and Syria, as well as threatening military action against China in the South China Sea. In response to what NATO leaders describe as Russia’s “dangerous and aggressive actions,” NATO has built up a “rapid-response force” of 40,000 troops on the Russian border in the Baltic States and Poland. This force includes hundreds of tanks, armored vehicles, and heavy artillery. NATO troops stationed in Estonia are within artillery range of St. Petersburg, the second largest city of Russia. The United States has deployed its Aegis Ashore Ballistic Missile Defense (BMD) system in Romania and is constructing another such BMD system in Poland. The Mark 41 launch system used in the Aegis Ashore systems can be used to launch a variety of missiles, including long-range nuclear-armed cruise missiles. In other words, the United States has built and is building launch sites for nuclear missiles on the Russian border. This fact has been widely reported on Russian TV and has infuriated the Russian public. In June, Russian President Putin specifically warned that Russia would be forced to retaliate against this threat. While Russian officials maintain that its actions are normal and routine, Russia now appears to be preparing for war. On October 5, 2016, Russia conducted a nation-wide civil defense drill that included 40 million of its people being directed to fallout shelters. Reuters reported two days later that Russia had moved its Iskander nuclear-capable missiles to Kaliningrad, which borders Poland. Just as there is no discussion of the most existential question of our time, in the American political class — the possibility of war with Russia — it is the only thing being discussed in the Russian political class . . . These are two different political universes. In Russia, all the discussion in the newspapers, and there is plenty of free discussion on talk show TV, which echoes what the Kremlin is thinking, online, in the elite newspapers, and in the popular broadcasts, the number 1, 2, 3, and 4 topics of the day are the possibility of war with the United States. Perhaps this narrative will change under president-elect Trump. However, he is inheriting a situation fraught with danger, which retains the possibility of direct military conflict with Russia in Ukraine and Syria, as well as increasingly militarized confrontation with China in the South China Sea. My own personal assessment of the state of the nuclear danger today is that it is profound. The United States is sleepwalking towards nuclear war. Our leaders have turned a blind eye to the scientifically predicted consequences of nuclear war, and our military appears to be intent on making “Russia back down.” This is a recipe for unlimited human disaster. It is still not too late to seek dialogue, diplomacy, and détente with Russia and China, and to create a global dialogue about the existential dangers of nuclear war. We must return to the understanding that nuclear war cannot be won and must not be fought. This can be achieved if our political and military leaders listen to the warnings from the scientific community about the long-term global environmental consequences of nuclear war. President-elect Trump and President Putin must publically acknowledge and discuss the peer-reviewed studies that predict a U.S.-Russian nuclear war will likely wipe out most of the human race. All nations and peoples have a vested interest in eliminating the nuclear arsenals that continue to threaten their existence. This article is based on a presentation made by Mr. Starr at the Nuclear Age Peace Foundation Symposium in Santa Barbara, CA on October 24-25, 2016.